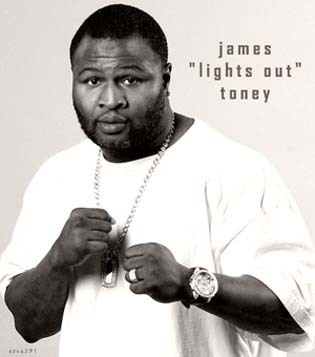 Welcome to the James "Lights Out" Toney website. This site will be updated often to keep you up to date with the latest news and info on James Toney. Please feel free to e-mail me if you have any questions.